Like Steve Jobs, Patrick McGovern built a worldwide multibillion-dollar industry by thinking differently, disrupting old business models, and embracing new technology trends. He drove the future forward and never looked back. With magazines such as Computerworld, PCWorld, and Macworld, his company, International Data Group (IDG), quickly became a global powerhouse with information technology publications in nearly 100 countries. The story of IDG's astonishing success has been a source of inspiration for entrepreneurs all around the world. No matter what industry you work in--whether you're heading up a small startup, expanding a mid-sized company, or running a major global corporation--McGovern's people-first principles, insights, and integrity will help you lead the way. Learn how to: -Define a clear mission early in the game--for long-term success.-Identify new markets and stay ahead of the curve.-Expand your business globally but have it managed locally.-Listen to your customers and empower your people.-Hire the best and challenge them to do their best work.-Never stop learning and always remain curious.-Foster a let's-try-it attitude throughout the company.-Lead with optimism and stay true to your values and vision. In addition to these timeless lessons, you'll learn how this future-forward leader broke new ground in the 1980s by opening offices in China, the Soviet Union, Eastern Europe, and other markets deemed off-limits. You'll discover how his company thrived in spite of major industry shifts--from mainframe computers to minicomputers to personal computers, from print to digital to smartphones--that upended many rivals. Living at the intersection of these classic disruptions, McGovern never missed a beat. He understood well before most that a revolution in information technology was underway and not only was there money to be made but that this would soon become the world's largest industry. Most important, he never forgot the human element that is so crucial to any company's success. His leadership in the creation of one of the world's leading brain research institutes at MIT only served to cement his legacy. 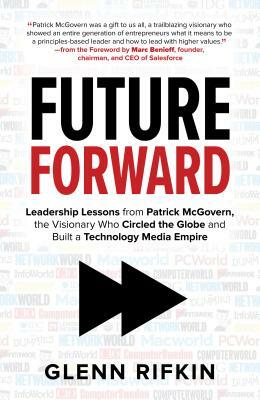 Future Forward shows you how to apply McGovern's principles to your own organization. These are the lessons of a true visionary. This is how successful leaders take risks, take charge, and take the future by storm.